Welcome Home! This Custom Home Features Four (4) Bedrooms, Three (3) Baths, Spacious Living Room, Separate Dining, Open Kitchen with Breakfast Bar, Inside Laundry Room, Large Master Suite Featuring Dual Vanities, His and Her Closets, Guest Room with Private Bath, two more Guest Rooms and another Guest Bath, Screened Front Porch, Double Door Entry, Spacious Backyard with Room to Build a Detached Garage and/or add a Custom Pool. 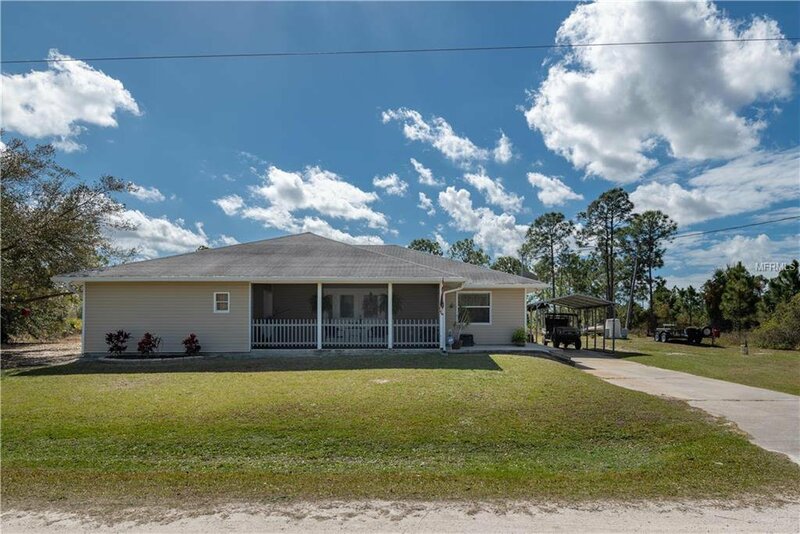 Quiet Country Atmosphere, Located within twenty minutes to Cape Coral, Punta Gorda with ease of Access to US 41 (Tamiami Trail) and I-75, Call to Arrange a Showing Today, this Custom Home Awaits. Listing courtesy of RE/MAX HARBOR REALTY. Selling Office: WALKER REALTY GROUP FLORIDA.